The National Crowdfunding Association of Canada (NCFA Canada) does not offer legal advice, and nothing in this frequently asked questions webpage should be construed as offering advice legal or otherwise. 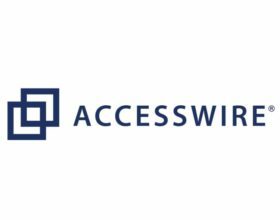 You are strongly encouraged to consult a securities attorney regarding any equity crowdfunding opportunity you are considering as an entrepreneur, investor, or funding portal. Prior to submitting a question, please review all FAQ sections including Equity Crowdfunding Regulations, General, For Entrepreneurs, For Investors and For Portals. In addition to the standard FAQs available below a set of 'add value' premium FAQs (content) will be made available via eBook (link to be provided shortly). Crowdfunding is the raising of funds through the collection of small amounts from the public (known as the crowd) using the internet and social media in exchange for value to those parties. Crowdfunding has its origins in the concept of crowdsourcing, which is the broader concept of an individual reaching a goal by receiving and leveraging small contributions from many parties for value to those parties. Types of crowdfunding are distinguished by what the funder receives for their contribution: donation, reward, presale, equity, or debt. Donations do not provide a funder with any tangible benefit whereas the other forms of crowdfunding entitle a funder to a tangible benefit. Investments by the crowd may be passive or active in the business. For instance, the crowd may provide feedback to an entrepreneur on potential market demand, preferred product characteristics, or support the entrepreneur by making business introductions. See Crowdfunding 101 and Crowdfunding 201. Equity crowdfunding is the offering of unregistered securities through a registered funding portal/platform to raise small amounts of money from a large pool of non-accredited and/or accredited investors. These securities may be common shares, non-convertible preferred shares, convertible preferred shares, non-convertible debt securities, convertible debt securities, limited partnership units, trust units, or flow-through shares. Other terms used to describe equity crowdfunding are investment crowdfunding, securities-based crowdfunding, raising equity online or distributing securities over the internet. A funding portal or platform is a dedicated website and intermediary that facilitates funding transactions between entrepreneurs (i.e., the creator of the business or start up) and funders. Entrepreneurs post all funding related information, such as business goals, value proposition (pitch) and use of proceeds on a funding campaign page on the funding portal’s website. Entrepreneurs and funders can post questions, answers and comments on the campaign page during the funding campaign. Funding portals also manage certain parts of the process like basic background checks, review of information provided by entrepreneurs for conformity to established regulatory standards or portal requirements (but not merit, accuracy or completion of information), receive and hold funds in trust, investor education, marketing tools and regulatory reporting obligations. A person with over $5,000,000 in net assets. For more information, please review the detailed requirements of an accredited investor as determined by the Canadian Securities Administrators in National Policy 45-106 Prospectus and Registration Exemptions and its Companion Policy. Common stock is a security that shows ownership in a company and entitles holders to one vote per share on all matters submitted to a vote of the stockholders of the company. Holders of a majority of the shares of common stock are entitled to vote in any election of directors and may elect all of the directors standing for election. Subject to preferences that may apply to any preferred stock outstanding the holders of outstanding shares of common stock are entitled to receive ratably any dividends declared by a company’s board of directors out of assets legally available. Upon the liquidation, dissolution, or winding up of a company, holders of common stock are entitled to share ratably in all assets remaining after payment of liabilities and the liquidation preference of any then-outstanding shares of preferred stock. Holders of common stock have no preemptive or conversion rights or other subscription rights related to their share ownership. There are no redemption or sinking fund provisions applicable to the common stock. Preferred stock is a security that shows ownership in a company and gives the holder a claim, prior to the claim of common stockholders, on earnings and on assets if liquidation occurs. Most preferred stock pay a fixed dividend prior to any common stock dividend a company may elect to pay stated in a dollar amount or as a percentage of par value. This stock rarely carries voting rights. The board of directors of a company usually has the power to designate the preferences and relative participation, optional or other rights and qualification of preferred stock including dividend rights, conversion rights, voting rights, redemption rights, liquidation preference, sinking fund terms, and the number of shares constituting any series or the designation of any series of preferred stock. Preferred stock has characteristics of both common stock and debt. A debt security is a security that represents money borrowed that must be repaid, with terms that define the amount borrowed, interest rate, and maturity/renewal date; it may be secured or unsecured. Debt securities include government and corporate bonds, certificates of deposit (CDs), promissory notes, debentures, preferred stock and collateralized securities (such as collateralized debt obligation (CDOs) and collateralized mortgage obligation (CMOs)). A debt security may carry the right to convert into equity under certain circumstances. In terms of seed financing, debt securities usually automatically convert to shares of discounted preferred stock upon closing a Series “A” round based upon the terms of the security. 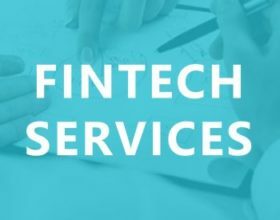 Debt securities are beneficial to early stage companies with little traction and revenue, as they don't require the company to set a valuation. A limited partnership unit is a security that shows ownership in a limited partnership. Each unit gives the holder a right of participation in the income generated by the limited partnership business. The participation right may be defined by percentage interests or by the number and class of units or other rights held. Similar to preferred shares, limited partnership units can vary in their designations. One of the benefits of limited partnership units is that limited partners receive the tax benefit of a "passed through" loss (a personal income tax deduction for part of the loss) during the development stages of the partnership when the expenses exceed any receipts. A trust unit is a security that shows ownership interest in an organization, which takes money from small investors and invests it in stocks and shares for them under a trust deed. The market value of a unit depends on the total value of the assets held in the organization. Since the securities held in an organization’s portfolio are generally income generating in the form of dividends and interest payments, holders are entitled to periodic trust unit dividends. Send you tax receipts relating to the company’s exploration and development expenses incurred in Canada. Companies tend to offer flow-through shares at a higher price than common shares. This reflects the tax benefit investors receive. There is always a risk that a company and its expenditures may not meet the strict government requirements to offer flow-through expenses to its investors. If that happens, investors may not be able to claim the tax deductions expected or CRA may reassess issuer’s tax return. If this happens, investors must pay back taxes, potentially many years after they made the investment. When an investor sells flow-through shares, CRA will require taxes be paid on the total sale price. This is because investors claim the full purchase price as a tax deduction if the company meets all the requirements. A reporting issuer is a company or other entity that has issued shares to the public and is subject to continuous disclosure requirements by one or more provincial or territorial securities regulators in Canada. An issuer is a company or other entity that has issued, or is proposing to issue securities. 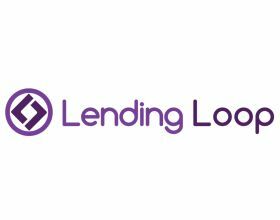 A funding window is the time-period a funding campaign is open and actively accepting investment funds. Securities regulation or the funding portal may impose a time limit on the entrepreneur in which to raise capital. A funding target is a pre-agreed amount of capital that the business or entrepreneur seeks to raise from prospective investors during a defined funding window (or subscription period). “All or nothing” (sometimes referred to as 'fixed funding') means that an entrepreneur will receive none of the funds raised in a crowdfunding campaign if a pre-agreed funding target threshold is not met before the funding window closes. All funds held in escrow for the campaign will be returned to the funders if the funding target has not been met. A funding target threshold for release of the funds to the entrepreneur may be lower than a funding goal or target of a campaign. “All or something” (sometimes referred to as 'variable funding') means that an entrepreneur will receive all of the funds raised in a crowdfunding campaign regardless if the pre-agreed funding target is met or not at the close of the funding window. All funds, minus a hold-back to pay the funding portal fees, may be released immediately to the entrepreneur on receipt or held in escrow until the campaign closes and then turned over to the entrepreneur. I’m interested in supporting the advancement of equity crowdfunding in Canada, how can I help? Engage: Join NCFA Canada – connect, contribute and support regional and national advocacy initiatives. Connect: Network with local businesses, prospective portal operators and service providers interested in emerging equity crowdfunding markets. Encourage dialogue and discuss sensible solutions to current challenges with your colleagues. Join us on LinkedIn, Facebook and Twitter. 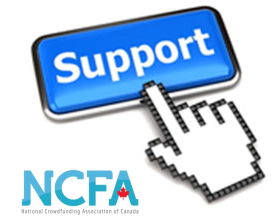 Provide feedback to crowdfunding exemption proposals made by provincial securities regulators during the valid public comment period or submit your comments/views to NCFA Canada for representation. View NCFA Canada response to OSC Staff Consultation Paper 45-710. Lobby for change with your local MMP or submit your comments/views to NCFA Canada for representation.